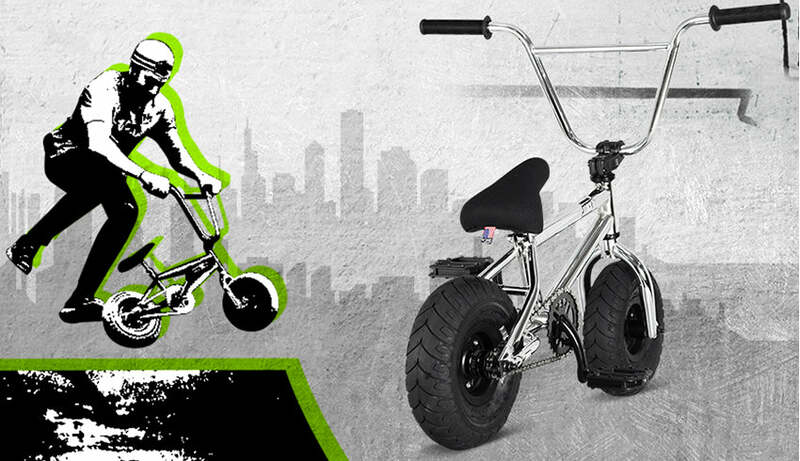 Tear up the skate park with mad tricks on the Jinx stunt bike. 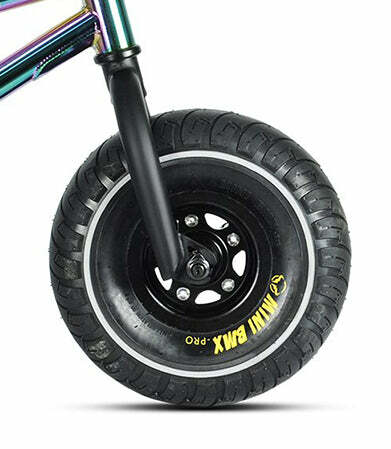 The Jinx is built strong with hi-tensile steel frame and Wildcat tyres. Tricks are easier with big handlebars and a mini frame. 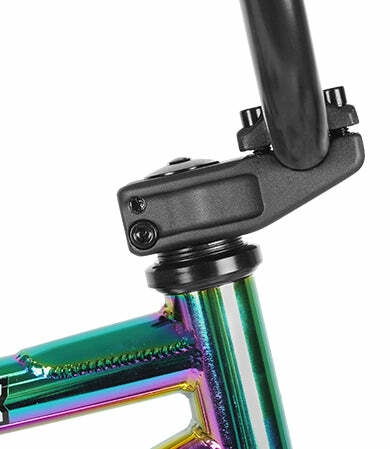 Show your true colours with the pearlescent Oil Slick frame. We've fine-tuned every little detail of the Jinx to maximise performance for freestyle riding. 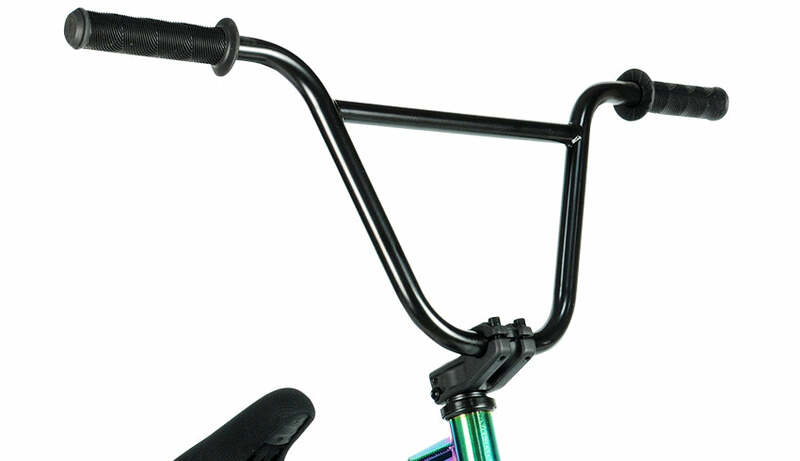 The Jinx has impressive handling with a full-sized BMX handlebar on the mini BMX frame. We use Kevler, a super strong material with igh tensile strength, to support the saddle through wild stunts. 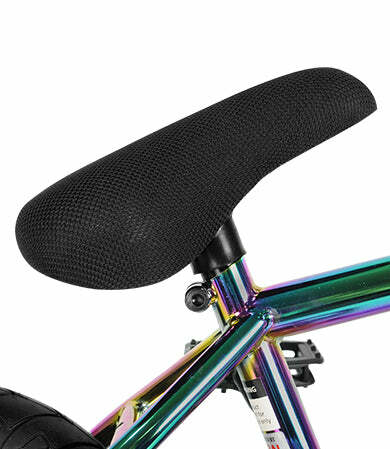 Tough alloy stem is ideal for wicked tail-spins. Thick and strong Wildcat pro street tyres to land strong after big air. 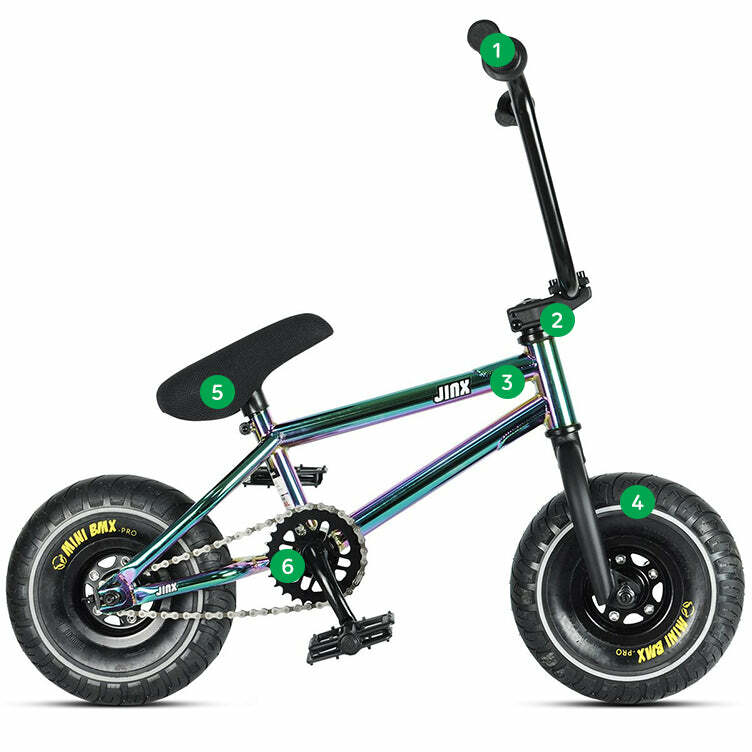 The Jinx is built for freestyling and is right at home at the skate park or stunting off-road. The Jinx is not appropriate for on road riding.